Word started circulating Saturday night that the Twins had reached an agreement with Phil Hughes, 27-year-old free agent pitcher who has spent his career with the Yankees. Hughes was on my list of pitchers I wanted the Twins to pursue, as was Ricky Nolasco, so this is not an unwelcome development. Obviously he comes with question marks. Those are some pretty ugly numbers he's put up the past few years. He's an extreme fly ball pitcher, and the new Yankee Stadium wasn't a good fit for him, but the Twins outfield defense, as currently constituted, isn't going to help him much. I'll write in more detail about Hughes for Monday. 1) Nolasco. While he's nobody's idea of a Cy Young contender, he clearly has the best track record on this roster. A third- or fourth guy in a good rotation, such as the Dodgers last year. 2) A pitcher to be named later. The Twins will add at least one more veteran starter this offseason. Count on it. 3) Kevin Correia. He was better in 2013 than I expected, but even that level wouldn't keep him in the rotation of a playoff caliber club. 4) Kyle Gibson. It's time to see what he's got. If he doesn't come out of spring training in the big league rotation, something's wrong. Ideally, by the end of the season he will have climbed higher on this list. 5) Somebody from the grab bag of 2013 returnees. My personal favorite is Scott Diamond, but the front runner is probably Sam Deduno. Other possibilities would include Andrew Albers. Vance Worley and Liam Hendriks. The rotation that opens isn't likely to be the rotation for 162 games, of course. If 2014 goes the way the Twins hope, Alex Meyer and/or Trevor May will push their way in at some point. I don't see either doing that to start the season. My initial post after word broke about Ricky Nolasco agreeing to terms with the Twins was in part about about his repertoire. Some context might be in order. So Nolasco is an exception. He throws his fastball on just 44 percent of his pitches, or did so in 2013. He threw a breaking ball, curve or slider, just as often as his fastball — and a splitter, a pitch the Twins have apparently discouraged in their system, the remaining 12 percent. A bit more on Nolasco as a pitcher: He faced 834 batters this year. Those batters (this, again, from the Handbook) generated 258 ground balls (30.9 percent); 146 line drives (17.5 percent); and 196 fly balls (23.5 percent). Of his 3,183 pitches, 64 percent were strikes, and 17 percent were swinging strikes. OK, so what do those numbers mean? I don't really know. This kind of (in James' term) "fourth-level" data is fairly new. I've done a little digging into the numbers regarding some of the Twins pitchers — posts will come as soon as next week — but I'm not sure I really have a good grasp of the context of them. I will say this: Nolasco certainly isn't an outlier in any of these percentages the way he is in pitch selection. One thing I find intriguing about Nolasco is that his "first and second level" results — wins and losses being what James calls first level, ERA second level— consistently lag his "third level" numbers (batters faced, strikeouts, walks, etc.) Nolasco's "component ERA" — a James invention that projects an ERA off a pitcher's secondary stats — is better, season after season, than his real ERA. Meaning that, for whatever reason, more runs score off him than one should expect from a pitcher who gets his strikeouts, hits, walks and home runs. Nolasco's career ERA — we should remember, he's been working in pitchers parks in the non-DH league — is 4.37. His career component ERA is 3.89, almost a half-run lower. His career FIP (Fielding Independent Pitching) is 3.76, which again is markedly better than the actual ERA. His career ERA+ — which adjusts ERA for park effects — is six points below league average. This leads me to this conclusion: Nolasco hasn't gotten the results he's capable of getting, and over eight seasons that's probably not a fluke. What he's done was good enough to get him a $49 million contract from a team whose rotation he instantly heads. He makes the Twins better. He'd make them better still if the final results match the building blocks. Another Thanksgiving, another year of the turkey photo. Gotta love tradition. The 2013 Twins didn't give their fans a lot to be thankful for. We saw another 90-plus loss season that featured the end of Justin Morneau's time with the team and the end of Joe Mauer's time as a catcher. But there's hope coming. I'm glad —thankful — I took the trip to Cedar Rapids in time to see Byron Buxton play. Buxton — and Miguel Sano and Alex Meyer and Eddie Rosario and others in an increasingly loaded farm system — offer a break from the decline of the past three seasons. Their time is coming. Hope, as the Casey poem tells us, springs eternal in the human breast. 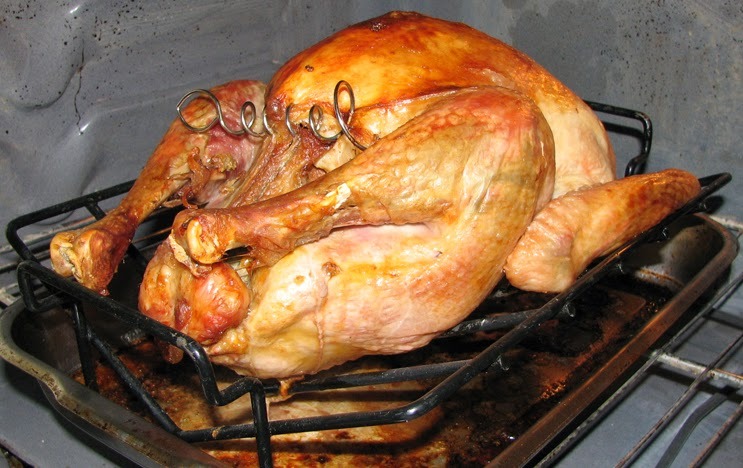 In baseball and in other endeavors, that is always something to be thankful for. 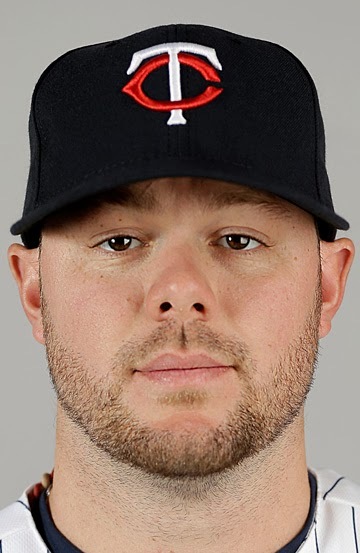 There's been no formal announcement of this signing, and won't be until he's passed a physical, but free-agent pitcher Ricky Nolasco switched his Twitter avatar to the Twins logo this afternoon, which would seem to indicate that he's struck a deal with Minnesota. Nolasco is a 30-year-old right-handed starter who has spent most of his career with the Marlins. 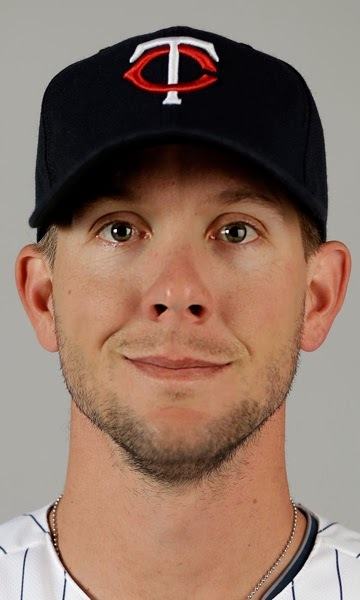 He's had six straight seasons of at least 10 wins and has a career strikeout rate of 7.4 men per nine innings, which is (a) about MLB average for all pitchers and a bit above average for starts and (b) a lot higher than any current Twins starter. He also has a good control record (2.1 BB/9 for his career). According to Baseball Info Systems, Nolasco averaged 90.3 mph with his fastball last season. He doesn't throw that pitch as often as most pitchers; BIS says he threw the fastball 44 percent of the time. His other pitches: slider, 27 percent of his pitches; curve, 17 percent; splitter, 12 percent. He finished last year with the Dodgers and made one playoff start, losing to the Cardinals in the NLCS. No immediate word on terms, but it's a safe bet that This is the most expensive free-agent signing in Twins history: 4 years, $49 million guaranteed, with a fifth-year option, according to Jeff Passan of Yahoo Sports. One starter added. At least one more to go. The BBWAA on Tuesday released its Hall of Fame ballot. It's stuffed with Cooperstown-worthy players -- overloaded, really. Giving the list a quick once-over Tuesday, I counted 12 players I would certainly vote for, and several others I might be willing to vote for. But the voters are limited to 10 names. If I did have a vote (and I don't), I'd have to discard a couple of players I'm sure belong. There are four former Minnesota Twins on this year's ballot. Jack Morris (in his final year of eligibility) is joined by first-timers Jacque Jones, Todd Jones and Kenny Rogers. The two Joneses will probably get shut out, and Rogers is unlikely to get enough support to remain on the ballot in 2014. Morris might get in this time, but I doubt it. He is at best the sixth-best pitcher on the ballot (behind Roger Clemens, Tom Glavine, Greg Maddux, Mike Mussina and Curt Schilling) and that's giving him the benefit of the doubt over some others. Rogers, for one. The Gambler doesn't have Morris' Game 7, but Black Jack doesn't have Rogers' perfect game either. Morris has more wins; Rogers has the better winning percentage. Rogers's ERA+ for his career was 107, meaning he was 7 percent better than league average; Morris' was 105. Rogers had 51.1 career WAR (wins above replacement); Morris was 43.8. I wouldn't vote for Rogers, not with this field. There are too many better candidates to vote for. But I'd vote for him before I'd vote for Morris. The Twins, as noted in Monday's post, list four catchers on their 40-man roster: Ryan Doumit, Eric Fryer, Chris Herrmann and Josmil Pinto. Fryer is 28, and this is his fourth organization (Milwaukee, Yankees, Pittsburgh, Minnesota). Presumably he's out of options. Organizational depth guys like him lose a lot of value if they can't be organizational depth — if they can't be assigned to the minors. Fryer's on the 40, so to ship him back to Rochester will require passing him through waivers. Which is why I have spent the offseason so far expecting the Twins to outright Fryer to Rochester. If he opts for free agency instead, so be it. This is probably as good an opportunity for a player of his ilk as he'd find anyway. As matters stand — and the roster certainly is up for change — at least two and quite probably three of those four will be on the Opening Day roster. Doumit has seen a good deal of his Twins action as the designated hitter, and catching is such a specialized job, and so subject to injury, that managers are often loathe to skip having a reserve catcher on the bench. The Twins don't sign a free agent catcher. In that case, there's a role for Fryer. Of the four catchers, he's probably the strongest defensively; with Pinto out of the mix, he's the one true right-handed hitter of the remaining trio (which isn't to say he's a better righty hitter than the switch-hitting Doumit). Doumit catches about 50 games a year, and Herrmann and Fryer split the rest. I suspect that if the Twins do sign someone like A.J. Pierzynski, it will be Fryer who gets lopped from the roster. But if they need to make room for a starting pitcher, it'll be somebody else who loses their spot. seldom mentioned in talk about the Twins catching situation. Joe Mauer's not a catcher anymore. For the first offseason in more than a decade, the Twins don't know who's their No. 1 backstop. They have four catchers on the 40-man roster — Ryan Doumit, Eric Fryer, Chris Herrmann and Josmil Pinto — and good reason to shy away from any of them as 100-game starters. This has them prominent in speculation about a fairly rich crop of veteran catchers, which is rapidly dwindling. With the likes of Brian McCann (five years, $85 million, Yankees) and Carlos Ruiz (three years, $26 million, staying with the Phillies) reaching big-ticket free-agent deals in the past week, and such veteran backstops as Jose Molina, Geovanni Soto and Brayan Pena finding 2014 homes as well, the primary speculation is about Jarrod Saltalamacchia and ex-Twin A.J. Pierzynski. 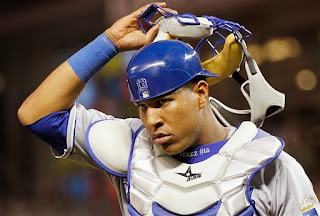 Importing a catcher probably means optioning out Pinto to work on his defensive skills. I'm pretty sure he can hit well enough to be a regular major league catcher right now. Pierzynski, who turns 37 next month, is probably a good candidate for a one-year deal. Salty, on the other hand, is likely to at least match Ruiz' deal, and having him block Pinto doesn't make sense — unless the Twins are already convinced that Pinto will never be good enough to be more than a backup. Doumit seems to be overlooked in all this. The primary argument against Doumit as a regular catcher is, of course, his defense. He's a hit-first backstop — and, as it happens, so are Pierzynski and Saltalamacchia. But Doumit is regarded as less adept than the other two, and he didn't hit to his usual standards in 2013. A secondary argument — and a good one — is that Doumit, who turns 33 in April, has a track record of injuries. He has just one 100-game season behind the dish in his career, and didn't catch at all in September after returning from an August concussion. He's not a good bet to carry the bulk of the load. Doumit has one year left on his contract. If the Twins do bring in a established No. 1 catcher, Doumit isn't likely to catch as often as he has since joining Minnesota. If the Twins don't, then I would expect him to share the job with Pinto. Which is my preference. I suspect Pinto will learn more about catching in the majors — especially with Terry Steinbach on the coaching staff — than in Triple A. The old Yogi Berra line about working early in his career with Bill Dickey — Bill is learning me his experience — applies. The ground rules in Brooklyn's now long-gone Ebbets Field did not cover a giant knothole in the right field bullpen bench. So when the Dodgers' Dixie Walker smacked a ball down the right field line that skipped into the knothole, Pittsburgh right fielder Paul Waner, a great player with an equally impressive reputation as a drinker, knew the ball was still in play. He reached blindly into the hole but came up only with a handful of peanut shells. Again he reached in, groping desperately for the elusive ball as Walker circled the bases. And a leather-lunged fan bellowed: "Whatcha looking for, Waner, a bottle of beer?" Earlier this week I suggested that the Twins had elevated two players — Max Kepler and Kennys Vargas—to their 40-man roster prematurely. Neither player, I argued, was likely to be taken and retained by a rival organization via the Rule 5 draft. So what? What are the consequences of protecting players who don't need to be protected? The obvious immediate risk is that another player who lost out on a roster spot will be snagged by another team. I'm not particularly concerned about that possibility here. The player (pitcher, actually) who is widely viewed as the first guy off the 40 is RHP A.J. Achter, a 25-year-old reliever who had a good 2013 split between Double A and Triple A despite a mediocre control record and then had a 5.25 ERA in 12 innings in the Arizona Fall League. If nobody grabbed Anthony Slama in all those years the Twins left him off the roster, there's not much risk that Achter's going. The longer term problem is that the Twins have effectively burned their first options on Kepler and Vargas. They aren't making the major league roster this spring. So this tightens by a year the organization's flexibility with them. Meanwhile, if — when — the Twins sign some free agents, they'll have to open spots on the 40. (They have one open spot now, and presumably they plan to make a pick in the Rule 5 draft; they almost always do.) They can't bounce the four newbies. So somebody else — somebody who, at least in theory, has a better chance of playing in the majors in 2014 — will get the gate. eight major league seasons, all with the Texas Rangers. The Prince Fielder-Ian Kinsler deal, once it becomes official, essentially means a complete revamp of the Detroit Tigers infield. Presumably the Tigers will return Miguel Cabrera to first base and install prospect Nick Castellanos at third base. Castellanos is just 21 (turns 22 during spring training) and spent 2013 playing left field in Triple A, but third is reckoned his best position. It's possible, of course, that the Tigers will add a veteran corner infielder -- ESPN's Tim Kurkjian on Wednesday night specifically named former Twins first baseman Justin Morneau as a possibility -- but if they really regard Castellanos as a major piece of their future, I think they'll avoid blocking him. And that would represent quite the transition for a team that has prioritized offense over defense. 2014 infield: Cabrera at first, Kinsler at second, Castellanos at third, Jose Iglesias at short. That's three new faces, with the one holdover shifting position. Peralta and Infante are free agents. Detroit general manager Dave Dombrowski had said early in the offseason that Peralta was unlikely to be re-signed; presumably the same is now true of Infante. The Tigers traded for Iglesias in midseason just before Peralta was suspended 50 games for his involvement with Biogenesis. They are very different shortstops; Peralta has limited range but makes few mistakes and is a productive hitter. Iglesias is very rangy in the field but, despite a good set of rookie stats, is not expected to help at the plate. One wonders if the tradeoff of offense for defense is deliberate, or if it just happened as the Tigers sought more payroll flexibility. This projected 2014 infield wouldn't produce runs as the 2013 infield did, but the Tigers should be better with the glove at each position. but he's a better hitter than most shortstops. I am far from convinced that the better defense will adequately compensate for the decrease in runs. I specifically doubt that Iglesias is a overall step up from Peralta (although he will be considerably less expensive, which will allow resources to be diverted to other needs). 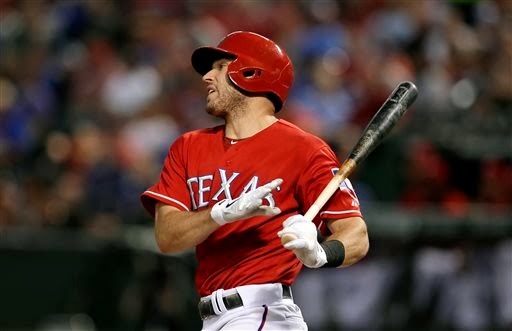 Kinsler has been a top-of-the-order hitter for Texas; Infante hit at the bottom of the Tigers order. I'm curious about how new manager Brad Ausmus will handle this. The Tigers lost their cleanup hitter; will Ausmus move Torii Hunter out of the second slot to hit fourth or fifth and install Kinsler in the two-hole? in what may have been an unnecessary move. Wednesday was the deadline for teams to move Rule 5 eligible players to the 40-man roster. The Twins put four players on the 40 -- LHP Logan Darnell, OF-1B Max Kepler, 2B-SS Jorge Polanco and 1B Kennys Vargas. They also outrighted RHP B.J. Hermsen off the roster, leaving them with an open slot. Of the four, the only one close to earning major league time is Darnell, who split 2013 between Double A New Britain and Triple A Rochester. The other three spent last season in A ball -- Vargas in High A Fort Myers, Kepler and Polanco in low A Cedar Rapids. I expected the Twins to protect Darnell and Polanco; either could easily have been taken in the Rule 5 draft in December. The other two are less likely to be targeted. A catcher, who might be a backup on a team with a strong No.1 catcher or a No. 3 guy if he is a hitter who is weak behind the plate. It's very rare for an outfielder or first baseman to be taken in Rule 5, especially if they're being taken out of A ball. I don't deride either Kepler or Vargas as prospects, but I doubt the Twins needed to protect either this year. Obviously, the Twins see it differently. The Tigers got the better end of the deal. My opinion. 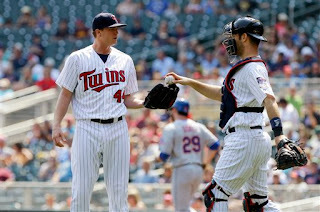 Odd little trade for the Twins Tuesday: They returned Duke Welker, the relief pitcher who was the player-to-be-named in the Justin Morneau trade, to Pittsburgh for Kris Johnson. Johnson is a 29-year-old lefthander who was a first-round pick back in 2006 but has just 10.1 major-league innings on his resume, all of which came this year. The Twins apparently revisited the trade because they were more interested in a starting pitcher candidate than a bullpen one. And the Pirates were willing to accommodate. Unlike the Twins' other southpaw starters, Johnson has some fastball velocity. Despite that, his minor league strikeout rates are not impressive. He joins the crowd of back-of-the-rotation candidates. Eddie Rosario may be the Twins second baseman of the future. He may be their left fielder of the future. He may wind up being trade bait. But all that gets put off for a couple months. According to a report out of his native Puerto Rico, the 22-year-old prospect figures to open the 2014 season with a 50-game suspension after testing positive for a performance enhancer. There's been no official announcement from MLB; that will come after every "i" has been dotted and "t" crossed. But the process will certainly be complete before training camp opens. 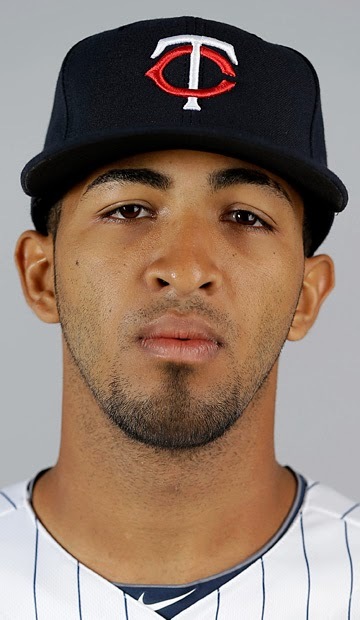 Rosario might have been a mid-season callup for the Twins in 2014; he ended 2013 in Double A, and the expectation here was that he'd be in Triple A Rochester next spring and in position to push his way to the majors. Now it will be midseason before he gets started. Not good for him or the organization. This is such a Peter Gammons tweet. He knows, at this moment, something significant about Eddie Rosario, something nobody covering the Twins knows. And he's letting us know he knows something. He's just not going to actually tell us what it is. It's as if reporting the fact is repugnant to him; he's said enough to get the rest of the press corps started on its trail. LaTroy Hawkins had 13 saves and 12 holds in 2013. 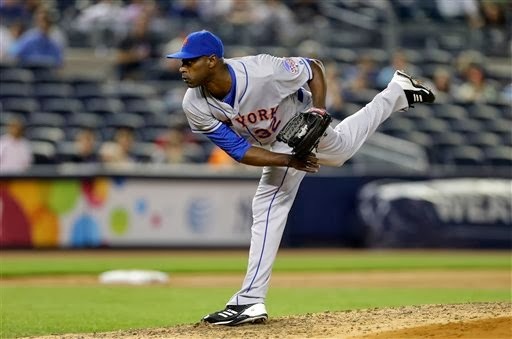 LaTroy Hawkins was reported Monday to have agreed to a contract with the Colorado Rockies. The surprise to this free agent deal isn't so much that Hawkins found yet another major league pitching job. It's that he's supposedly to be the Rockies closer. 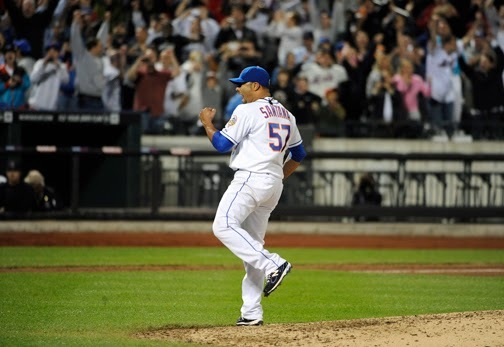 The Hawk had an excellent season for the Mets this year: 72 games, 70.2 innings, 2.93 ERA. He ended the season as the Mets closer, converting 13-of-14 save opps in August and September and not allowing a run, earned or otherwise, after Aug. 25. Still, he has a lot of mileage on his arm (he turns 41 next month) and he hasn't had that heavy a workload since 2004 with the Cubs. Colorado, of course, is not an easy place to pitch. It'll be interesting to see if he keeps the closer job. Hawkins has pitched for 10 of the 30 major league teams. This will be his second time around with Colorado (2007). He leads all active pitchers in appearances (943). And I assume he'll keep pitching until all 30 teams tell him he's done. The Twins, it was repeatedly reported and tweeted out of the general managers meetings last week, are serious about landing starting pitching. Market-setting serious. The Twins were said to be in pursuit of Bronson Arroyo, a soft-tossing righty who works 200 inning every year and will turn 37 in February. They were said to have offered Ricky Nolasco, a younger (turns 31 in December) and harder thrower, a four-year deal (one report said the Twins were willing to go five years, which is a dangerously rare length for a pitcher). They've even been connected to Matt Garza, who began his career with the Twins, although I'll believe that when I see it. Nothing concrete has happened yet, and I rather expect nothing concrete will happen until there's a resolution on the Japanese posting system. The agreement under which MLB clubs bid for the exclusive negotiating rights with Japanese veterans has expired, and the word last week was that the Japanese leagues were "unable" to respond to the proposal made by MLB. It's quite possible that there will be no posting this winter — which would keep Japanese star Masahiro Tanaka from coming to the states. Tanaka is the big get of the market — if he's in the market. Somebody figures to spend about $100 million to land him between posting fee and his contract. If he's not available, that $100 million will likely be redirected toward other free agent pitchers. I was throwing against Clinton, Iowa, one night, and throwing hard. I had struck out 13 in five innings. Clyde Sukeforth, their manager, was telling his hitters to get up there and hit. He said, "I can hit Higbe with one eye closed." In the sixth inning his catcher got in an argument with the plate umpire, and before Clyde could get between them, the catcher was thrown out of the game. So old Clyde, a fine catcher, had to come in to catch. His players said, "Here's your chance, Skip. Close one eye and let's see you hit him." Clyde came up in the seventh with a man on second and two out. I got two quick strikes on him. His boys kept hollering, "Skip, close one eye!" I threw him a high hard one. As he ducked out of the way, the ball hit his bat and went over the third baseman for a base hit. Clyde said, "Boys, I told you I could hit him with one eye closed." One of them said, "You done better than that, Clyde, you hit him with both eyes closed." The Phillies and flawed ex-Twins outfielders. 322 trips to the plate. The Phillies seem to have a fascination with flawed outfielders with Twins backgrounds. Last offseason they traded for Ben Revere and signed free agent Delmon Young. Young did what he does: Swing at first pitches and play immobile defense. This went so well the Phillies released him in midseason. Revere did what he does: He hit singles and ran around a lot. The weak throwing arm, the lack of power, the sometimes odd routes ... they're all still problems. He played in just 88 games before breaking his foot. If one could somehow fuse the respective strengths of Revere and Thomas, the result would be a very good center fielder indeed. Thomas has some power but struggles to make contact; Revere is the opposite. Revere is much faster than Thomas; Thomas makes fewer false starts in the field and has a stronger throwing arm. But they are who they are. The pitching mound is removed from the Metrodome. My colleague Pat Christman found this little gem on the state of Minnesota's auction site: The Metrodome pitchers mound is for sale. Click on the "Pitching Mound" link on the left side of the page to get to the specifics. This really underlines the fact that baseball in the Metrodome is done. Period, and forever. Bidding closes Nov. 25. As of Thursday evening the site didn't show any bids, and the minimum bid appears to be $250. You have to go to Arden Hills to pick it up, though. They won't ship it. Eye on 2014: What about Ryan Pressly? to the minors next year. The Twins got Ryan Pressly in the Rule 5 draft, which meant he had to be carried on the active roster all season or offered back to the Boston Red Sox. That wasn't much of a problem; he had a very strong first half and, even with his second half fade, it was pretty obvious that he was worth keeping. He ended 2013 with a 3-3, 3.87 record in 76.2 innings, all in relief. He ranked fourth in the American League in relief innings (teammate Anthony Swarzak was first). Even as Pressly's ERA ballooned in the second half (3.09 before the All-Star break, 4.91 after), it seemed that every time he entered a game Bert Blyleven talked on TV about shifting him to a starter's role in future seasons. Boston exposed him to the Rule 5 draft for a reason. Pressly struggled at every level in the Red Sox system until they moved him to a relief role. It was the shift to the bullpen that made him worth taking in Rule 5. Pressly's season deteriorated as his innings mounted. That doesn't suggest that a starter's heavier workload is a good fit. Even with the bullpen boost -- pitchers throw with greater velocity when working in relief's shorter stints -- Pressly still had a below average strikeout rate. He fanned 5.8 men per nine innings, almost two less than the AL average. Blyleven's fixation on the idea of Pressly as a starter probably wasn't his; he was doubtless getting this notion fed to him by the Twins. So I wouldn't be surprised if the Twins chose to send him to Triple A with the intent of making him a starter. I would be surprised if it worked. The available evidence says Pressly belongs in the bullpen. The news Monday that Joe Mauer will no longer catch was, deservedly, the big deal in Twins Territory — arguably a more significant announcement than the retention of Ron Gardenhire as manager. But there were other news items worthy of attention. * The Twins signed former shortstop Jason Bartlett to a minor league contract and suggested he would have the opportunity to reclaim the shortstop position he vacated when traded after the 2007 season. Really? Bartlett? Seriously? I don't buy it. General manager Terry Ryan said Monday that incumbent shortstop Pedro Florimon is not a lock to keep the job. And he shouldn't be; Florimon fielded well, but he didn't hit. The Twins should be open to alternatives. Bartlett isn't a realistic one. He's 34; he hasn't played since May of 2012, when the Padres cut him loose; his numbers were in decline before the knee injury he blames for his release; the Twins haven't even bothered to scout his workouts. The Twins aren't risking anything on this minor league deal. I don't think there's any gain in it either. 20 years in the former Olympic Stadium. * The Atlanta Braves announced plans to move from Turner Field once their lease is expired to a new stadium to be built in suburban Cobb County. This is odd on a number of levels. 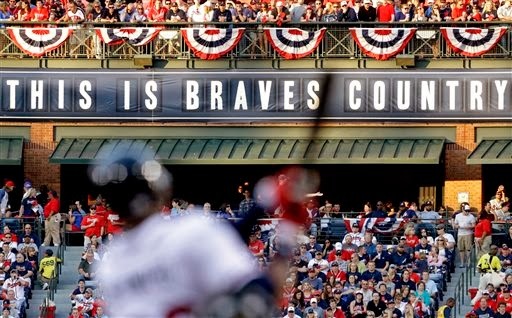 Turner Field is just 17 years old, for one thing; for another, the Braves are bucking the overall movement of teams closer to the city center. A piece of civic infrastructure that cost hundreds of millions to construct is now to be discarded as if it were a fast-food outlet. I've never been to Atlanta, so my knowledge of Turner Field (and its predecessor, the cookie-cutter Atlanta-Fulton County Stadium) is second hand. Turner, of course, was originally the Olympic Stadium for the 1996 games, designed to be retrofitted for baseball. I assume that it is miles ahead of the old concrete doughnut as a place to watch baseball but a step or two short of the likes of the baseball cathedrals in Pittsburgh, San Francisco and (yes) Minneapolis. But this isn't about aesthetics. It's about a complex and unsavory melange of greed, demographics (racial and socioeconomic), dysfunctional urban planning, absentee ownership, corporate miscues and, worthy of additional emphasis, greed. in the future, but not with the green cap. Joe Mauer and the Twins made it official Monday: The best catcher in franchise history — not just the Minnesota Twins, but the Washington Senators before them, a span of more than 110 seasons — will not catch again. Ever. Which is just fine with me. 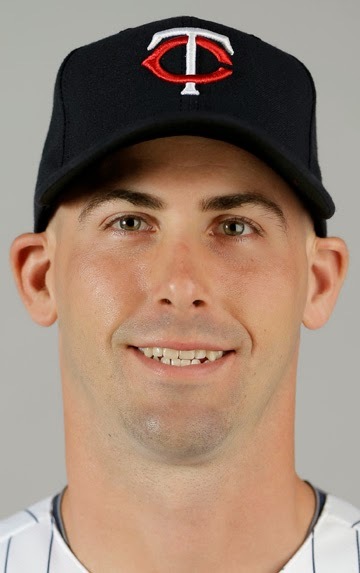 I was listening to Pat Reusse rant on the radio Monday afternoon about how Mauer should be available to fill in behind the plate and thinking: That all sounds good, but the point of moving Mauer to first base now is to protect his noggin against future concussions. Better that he focus on becoming the best defensive first baseman in the league — which, really, he should be. Hands? Check. Throwing arm? None better. I'm happy he has chosen to make the transition, but if he decided he wanted to catch, I'm not sure anybody was going to stand in his way. We had a conversation in October, just about the future. One thing that was apparent, (after) Joe was on the (disabled list) for quite some time, the important thing was his health, and it led from there. Joe did some searching, talked to some people he had a lot of confidence in, and ultimately he got back to me and said he was willing to make the move. I think it's the right decision. Moving Mauer to first base likely rules out the return of Justin Morneau. It makes it really difficult to see a role on the 2014 Twins for Chris Parmelee or Chris Colabello. I can imagine the Twins trying Doumit and Pinto in a time-share at catcher and DH, with the versatile Herrmann in reserve. I can also imagine them signing a true No. 1 catcher and having Pinto open 2014 in Triple A to work on his defensive skills while Doumit does the DH/backup catcher thing he's done the past two seasons, with or without Herrmann as a No. 3 catcher/reserve outfielder. Theoretically, the Twins could try to trade Doumit, but I doubt he has much value right now. He turns 33 in April, he's no help in the field, and his hitting numbers this year weren't good enough to justify the DH role. I think Doumit sticks this winter, and I think the Twins will try to sign someone like A.J. Pierzynski or Jarrod Saltalamacchia to buy time to polish Pinto in the minors. after a second try at repairing his shoulder. On Friday I described a "rough draft" for a 2014 Twins starting rotation that featured two vacancies for pitchers to be acquired. On Saturday I discussed the Twins' lack of pitchers strikeouts and explained the problems of relying on free agency to fix that. Today I'm going to put forth my thoughts on which free agent starters the Twins should pursue. I do so mindful that the three free agent starters I wanted the Twins to chase last year didn't fare well. I wanted Terry Ryan and Co. to go after Brandon McCarthy, John Lannan and Shaun Marcum. Those three combined to go 9-27, and through injury and ineffectiveness, none made it through the season in the rotation. So my track record is less than perfect. I'm ruling out most of the best free agents because there's no good reason for them to come to Minnesota. Tim Hudson, for example; he's in his upper 30s and is going to look for a team ready to win NOW. Ditto A.J. Burnett, if he doesn't retire. Hideki Kuroda is either going to stick with the Yankees or return to his native Japan. Ubaldo Jimenez and Ervin Santana are notoriously inconsistent and would cost a draft pick. Matt Garza? He and the Twins have a history. High ceiling, high risk: Injury cases, by and large, who are not good bets to provide 30 starts and 200 innings but who, if they can take the mound, should be effective. Inning eaters: They won't help the team's strikeout rate much, but they have better health records. My idea is to target one from each group. I''m actually at lot more interested in the first two than the second three. Emotionally, I'd love to see Santana back; I don't know that he's sound enough to help. I have no illusions on Santana or Johnson. Even if they're ready to pitch Opening Day, they can't be expected to make it through the entire season. As with Mike Pelfrey last year, 150 innings would be an accomplishment. Sign either, and you're going to use one of your Plan B guys at some point, early or late or both. From the second group: Scott Feldman, Phil Hughes, Pelfrey, Ricky Nolasco, Paul Maholm . What I'd basically be looking for here is what Kevin Correia gave the Twins this year: Thirty or more starts, something approaching 200 innings. 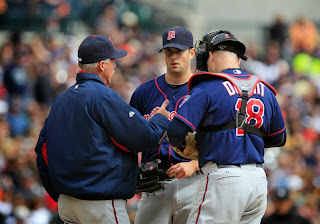 Pelfrey was short of that for the Twins, but 2014 will be another full year removed from his elbow reconstruction. So my wish list: Maybe one of Santana and Johnson, one or two of Feldman, Hughes and Pelfrey. For the third straight offseason, the Sunday funnies: baseball stories, maybe true, perhaps not, intended to draw a laugh or at least a smile. Rabbit Maranville is in the Hall of Fame, but certainly not for his prowess as hitter. The Rabbit was a weak batsman, and a superb defensive shortstop. He was also a notable clown, and a drinker of some repute. He had a short run as player-manager of the Chicago Cubs about halfway through his career, 53 games. He was named manager in the middle of the season over his protests — he didn't want the job, and, given his habitual irresponsibility, it wasn't a real bright idea to force it on him. On one of the team's long train trips, Maranville took a tour of the Pullman cars with a bucket of water, splashing sleeping travelers while bellowing: "There will be no sleeping under Maranville management!" He was soon relieved of his managerial duties. Two key stats were at the root of the 2013 Minnesota Twins' "pitching" problem — pitching in quotation marks because one of the stats isn't about the guys on the mound so much as the men in the field. The Twins were worst in the league at turning balls in play into outs. It's a deadly combination, obviously; the pitching emphasis on letting the defense do the work is undermined when the defense doesn't make the plays. The defensive issues get less attention than the "pitch to contact" approach, and it will in this post also. As the Twins search for upgrades to their staff, and specifically the starting rotation, the emphasis should be on strikeouts. They need to find some arms who can miss bats. The average AL pitcher — the average — struck out 7.7 hitters per nine innings. This is the all-time high. The average Twins pitcher struck out 6.1 men per nine. The Twins pitchers suppressed the league K rate by a point; take the Twins out, and the league rate is 7.8 K/9. This is largely a starting pitcher problem. The Twins starters fanned 4.9 men per nine innings, the bullpen 7.9 — and having said that, the Twins relievers trailed the rest of the league's relievers as well. American League relief pitchers overall had an 8.5 K/9 rate. But the starters were at 7.2. The prescription, then: Pursue strikeout rates. Easier said, frankly, than done. This is Fangraphs' listing of free agent starting pitchers, sorted by K/9 rates 2011-13. There are 14 names on the list with K/9 rates about the 7.7 average rate. One of them, Tim Lincecum, is already off the market. Several others (Johan Santana, Josh Johnson and Roy Halladay among them) have significant health issues. Earlier this week I suggested that Ubaldo Jimenez might encounter the same resistance as Kyle Lohse did last year in free agency. This list suggests otherwise. He's probably the safest bet among the free agent starters with high strikeout rates. The pursuit of strikeouts, at least as it involves free agency, is going to require taking some significant risks. Almost all of the available high-K arms have issues. Which, I believe, is why Terry Ryan keeps repeating that there are no shortcuts. It's time for the Twins to commit a rotation job to Kyle Gibson. This is already the running theme of the offseason for the Minnesota Twins: Fix the starting rotation. Oh, the Twins had plenty of other issues. They were near the bottom of the league in runs scored, so the hitters weren't real productive. They were last in the American League in defensive efficiency — the percentage of balls in play they turned into outs — so the glovework wasn't helping. There's good reason to focus on the rotation. The wave of top-prospect talent that's coming figures to fix those offensive and defensive woes (at least as long as the aching joints of Miguel Sano and Byron Buxton aren't so serious as to short-circuit their promise). Those problems will largely fix themselves without importing outside talent. It's harder to make that case about the rotation, partly because the Twins are light on quality arms in the upper levels of the farm system and partly because the attrition rate for pitchers is so high. Kevin Correia will be part of it. Not that he's, you know, good. He wouldn't crack the five-man rotation of any of the four teams that got past the wild-card round of the playoffs. But he's under contract, and the Twins won't have five better options. He's the best starter they have, which is another way of stating the problem. Kyle Gibson. He's 26 already — 26 and still unestablished. It's time for the 2009 first-round pick to sink or swim. Another 2013 holdover. One arm from the bunch of (alphabetically) Andrew Albers, Sam Deduno, Scott Diamond, Liam Hendriks and Vince Worley. I figure that, out of those five, one is capable of providing a decent season. There's a case to be made for each; there's drawbacks to each. I have no problem with devoting a rotation spot to one. I don't want to rely on those five to fill two spots. It's OK to expect something from 20 percent of that field; 40 percent is pushing it. Left out of this are the two power arms who spent 2013 in Double A New Britain and are currently working in the Arizona Fall League, Alex Meyer and Trevor May. Meyer had arm issues in midseason, May hasn't mastered his control. I don't expect them to jump up to the American League to start the season. Midseason at best with these two. That leaves two rotation spots to fill from the outside, whether via free agency or trade. We'll get into that in future posts. The World Series is barely complete and free agency has just opened, but it appears that the winter baseball seasons for Byron Buxton and Miguel Sano are already over. Buxton aggravated his strained shoulder, which kept him out of the Arizona Fall League for about a week earlier in the month. With just a week left in the AFL anyway, the centerfielder -- the No. 1 prospect in all of baseball by general consensus -- is unlikely to play again. Sano appeared in just two games in the Dominican winter league, then injured his elbow. He returned to the states, was examined by the Twins doctors and then by the renowned Dr. James Andrews. The docs agree: Rest and rehab, no surgery. I sometimes think, when looking at my Twitter feed and seeing a daily update of Buxton's or Sano's lines, that we wind up paying too much attention to the trees in this forest simply because we can. I'm not inclined to worry about these injuries. There's a long time to go between now and spring training, and the idea seems to be that rest will cure the ailments. They're young, and they've been through a long minor league season (which, it must be granted, is shorter than a major league season). It's probably time for them both to have a break anyway. 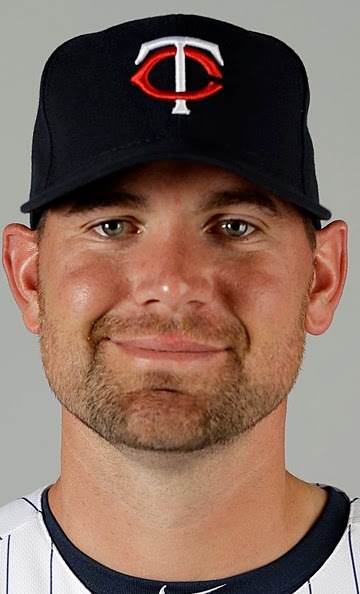 The lead item on the Twins website Tuesday (and still Wednesday morning): "Twins forego qualifying offer to Pelfrey." No kidding. The qualifying offer threshold is $14.1 million. I think it likely Mike Pelfrey can get more than that in free agency, but it will take more than one season. In fact, if the the Twins are seriously interested in having the right-hander return, two years, $14 million seems a reasonable offer. I'm still not sure if they should want him back. Pelfrey, incidentally, is now off the 40-man roster as listed on the Twins website. Thirty-six are on, leaving four openings. I don't think that will be enough for the minor leaguers the team is likely to protect. Kendrys Morales: Now 30, he has minimal defensive value and his slugging percentage since returning from his broken leg has been in the mid .400s. He might be worth $14 million a year, but not $14 million and a draft pick. Curtis Granderson: At 32, he's not a legit centerfielder anymore, and much of his offensive value has become tied to his ability to pull the ball into the short right field seats at Yankee Stadium. The Yankees probably don't want him to accept the QO, just as they didn't want Nick Swisher to accept last year. Carlos Beltran: He turns 37 in April. Still a good player (better than Morales or Granderson), but that's getting up there for a fat multi-year deal. I think St. Louis would be quite happy to have him return on a one-year $14.1 million deal. I think they'd be happy to collect an extra draft pick too. Ubaldo Jimenez: Had a nice season for Cleveland. But ... his track record is inconsistent, his fastball velocity continues to decline and he's not noted for working deep into games. There may still be a market for him, but I can see him getting Lohsed. Monday's post -- about the uniqueness of some of the in-game strategies of departed veteran managers Dusty Baker, Davey Johnson and Jim Leyland -- led me to take a quick look at Ron Gardenhire's entry in the just-released Bill James Handbook. Gardy didn't led the league in anything, but one thing about 2013 jumped out at me, and I'm surprised I didn't notice it when it was happening: he had a career low in the use of relief pitchers on consecutive days. In fact, only four AL managers, five in all of the majors, had a lower figure than his 78. 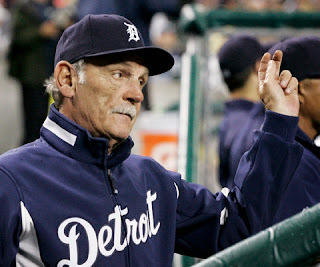 Heavy use of relievers on consecutive days had been a hallmark of Gardenhire's, although he has only once led the league in that (2008, with 115; he matched that number the following season). I'm inclined to blame/credit the change on the circumstances. The Twins didn't have a lot of four-game winning streaks, or or six-wins-in-seven-days stretches; those are the kind of short runs that have often had Gardenhire going to his top relievers day after day. Glen Perkins pitched 16 times on consecutive days, as did Casey Fien; Jared Burton and Brian Duensing 14 each. Pressly and Swarzak? One apiece. The Twins on Monday elevated left-handed relief prospect Edgar Ibarra to the 40-man roster rather than allow him to become a minor-league free agent. They also, over the weekend, reinstated Sam Deduno to the 40 (he had been on the 60-day disabled list). Ibarra is 24, from Venezuela, and is said to have a mid-90s fastball and a decent change but shows a poor control record. 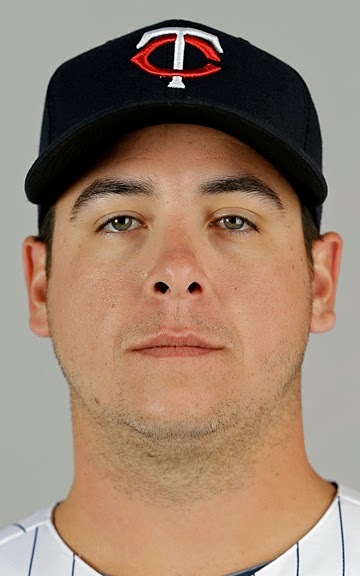 He will presumably compete with Brian Duensing and Caleb Thielbar for a LOOGY role in the Minnesota bullpen, although there is speculation that the arbitration-eligible Duensing may be cut loose rather than give him a raise. The Twins now have 36 or 37 players on the 40, depending on how you view Mike Pelfrey, who officially becomes a free agent at some point but was still listed on the Twins website Monday evening. Also on Monday, the Twins formally announced a handful of minor league signings, including Wilkin Ramirez, Doug Bernier and Lester Oliveros, all of whom have seen some major league time in the past few seasons. Others: Dan Rohlfing, Aaron Thompson, Jermaine Mitchell and James Beresford. Those seven all got invites to major league camp. As I said in an earlier post, I'm not sure what the point is to having both Bernier and Beresford when the Triple A middle infield figures to be manned by Double A graduates Danny Santana and Eddie Rosario. Three other minor league vets were signed without the invites: Vigil Vasquez, Jairo Rodriguez and Reynaldo Rodriguez. attempts in his 19 years as a manager. The Monday print column — the last for 2013 — takes note of the novice managers being handed the reins of contending teams in Detroit, Washington and Cincinnati and offers the theory that this trend is rooted in the homogenizing of managerial strategy. Everybody handles their pitching staffs the same way these days. Five-man rotations, adherence to pitch counts, a designated one-inning closer who seldom enters with men on base, specialist relievers ... that's not merely conventional wisdom, it is standard practice. To do that, a manager needs an inflated pitching staff. In the 1970s and 1980s, teams seldom carried more than 10 pitchers on a 25-man roster. That started to change in the early 1990s, and today everybody has at least 12 pitchers. The specialist relievers and the limited roster space for extra hitters have combined to essentially drive platoons out of the game. 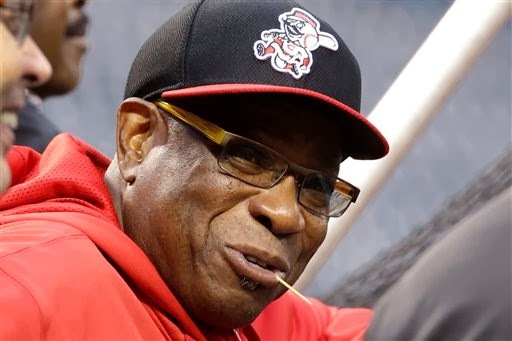 The departures, at least for now, of grizzled veteran managers Dusty Baker, Davey Johnson and Jim Leyland takes out some of the more distinctive strategists. Baseball Info Systems has for several years published a "managerial record" in the annual Bill James Handbook, and Baker in particular shows up with a lot of boldfaced type, indicative of having led the league in a particular move. emerge in the past five years. My guess is that the new guys will be more conventional on bunting than Baker was, and likely to pull their starters earlier than Leyland and Johnson. 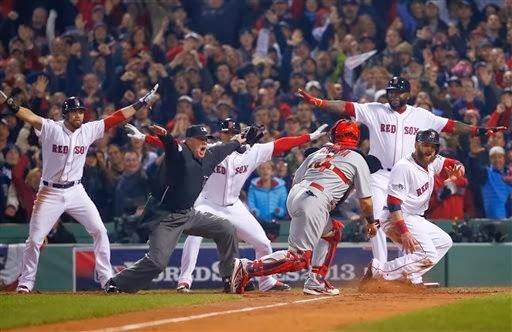 This was a close play, and Jim Joyce got the call right. As he did at third base with the obstruction call that ended Game Three — a call controversial only to those who either don't know baseball's rules or who don't want those rules applied (to the detriment of the Red Sox and/or late in close games). The Red Sox had very good World Series, which is why they are the champions. Joyce, I think, had an even better Series. This concludes the Pic of the Week series for another year. Click here to review all my selections. There have obviously been some good ones, but my favorite from this year is the one of Torii Hunter tumbling over the outfield wall in vain pursuit of David Ortiz' playoff grand slam. Royals were the best defensive team in the American League. The process for awarding Gold Gloves has been at the least tinkered with, arguably overhauled, and one visible result is that there were three finalists named at each position in each league. Joe Mauer was the only finalist from the Twins. When the awards were announced last week (Tuesday, an off day during the World Series), Mauer didn't win. No real surprise there. For one thing, Mauer caught just 658.2 innings. The winner, Salvador Perez of Kansas City, caught 1,115.1; the other finalist, Matt Weiters of Baltimore, 1201. That's a sizable difference. Perez is probably the best throwing catcher in the league these days, and Kansas City had the lowest runs allowed in the league, so presumably he wasn't hurting his pitchers with his pitch calls. He's not a terrible choice by any means. Still, I would have favored Weiters for the ugly trophy. Late in September, I wrote a post using wild pitch rates to compare Mauer as a receiver to his Minnesota colleagues. Perez comes off quite poorly here. Perez was behind the plate for 49 wild pitches in 2013. He was also charged with three passed balls. That works out to .40 wild pitches per nine innings, .42 WPPB/9. Mauer, as described in the earlier post, was .22 WP/9 and .26 WPPB/9. Weiters had 28 wild pitches, five passed balls, rates of .21 WP/9 and .25 WPPB/9. The American League averages were .37 WP/9, .45 WPPB. So Perez was slightly worse than average in allowing wild pitches, slightly better in the combination — and Mauer and Weiters much better than the norm. With the World Series over, baseball's offseason is officially on. The Twins have held their organizational meetings. Presumably Terry Ryan and Co. know which minor leaguers they will elevate to the 40-man roster, know which free agents they'll pursue (contract offers cannot be made until Tuesday). And, presumably, they know what they want to do with Joe Mauer. By which I mean not should we trade him? Mauer is not getting traded, and anybody who thinks a Mauer trade is a realistic option pays too much attention to the NFL and its phony contracts. 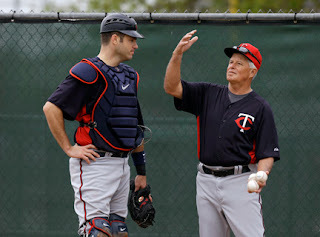 No, the question is: Is Mauer our primary catcher, or is it time to find him a new position? My opinion — and I say this while acknowledging that the Twins know more than I do about Mauer's health — has shifted sharply since Mauer's late August concussion. I now believe it's time to move him. So far as we can glean from the public comments from Ryan and Ron Gardenhire, the status quo remains intact. Mauer's a catcher until somebody with some say in the matter — Mauer, Ryan, Gardenhire — says otherwise, and nobody has said otherwise. The public focus, and maybe the true focus, of the Twins winter figures to be reshaping the starting rotation. But the lineup had big issues also, and how those issues will be addressed depends in no small part on what position Mauer plays. If he's a catcher, the Twins need a first baseman; I don't envision them being excited about Chris Parmelee or Chris Colabello as Plan A there. If he's a first baseman, are the Twins comfortable with bat-first backstops Ryan Doumit and Josmil Pinto, or are they in the market for a better defender?